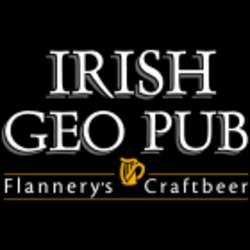 Let's meet at Irish Geo Pub, the perfect spot to share a beer and a good conversation! It's located just three blocks from metro Tobalaba. Come and enjoy a fun and relaxing evening with new friends, fabulous beers and cocktails, and a great menu of sandwiches, salads and more. For those attending for the very first time, the Newcomers' Events are organized for new members to learn about InterNations and the advantages and benefits offered. You will have the chance to meet the Ambassadors, the Group Consuls, other new members and share your experiences and expectations about living in Santiago. Maybe you will even meet your first networking contact. You never know! Feel free to bring along your international colleagues and friends as well, but it would be helpful if you ask them to register on the site first. Because we want you to feel at home here in Santiago, on behalf of Santiago InterNations family, we extend each one of you a hearty welcome.